McNellie’s, a restaurant chain in Tulsa, Oklahoma, had a well known and popular downtown location. When they opened a second restaurant the new location did not receive as much business. 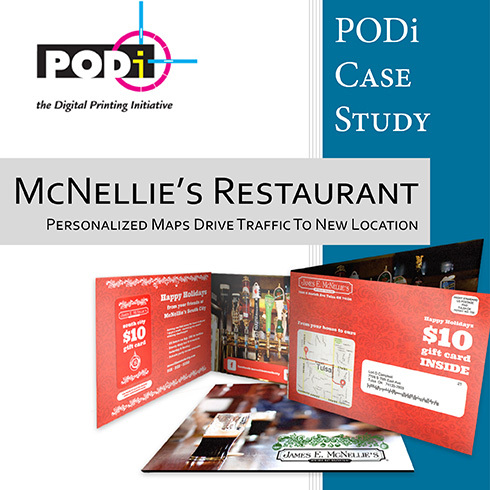 To improve business they used a direct mail campaign with personalized maps directing recipients from their residence to the new restaurant. The campaign received a 24% direct mail response rate with individuals redeeming the coupon offer.